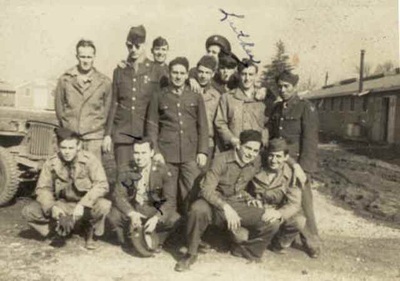 The 903rd Quartermaster and Military Police, January 14, 1943 photo. This photograph of a C-47 on approach to the runway at Atterbury Army Air Base was taken by the Base Photo Section, Bowman Field, Kentucky on 10 July 1944. Army Corps of Engineers 1st Lieutenant Austin Griffith of Frankfort, Kentucky from the original construction staff. Thanks to Libby Taylor, daughter of Lt. Griffith for helping identify her father. Stamped on the back of this photos is Ellington Photos, Columbus, Indiana. 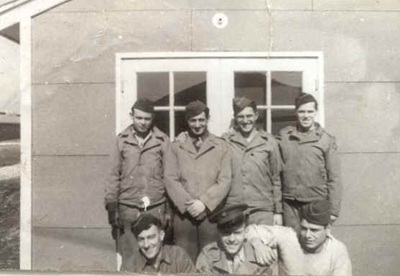 Atterbury Army Air Field December 1943 photo of Cpl. F. Monnissiti, Boston Massachusetts / Sgt. Luther McGee, Spruce Pine, North Carolina / Robert Callis, Sparta, Wisconsin in center of photo. 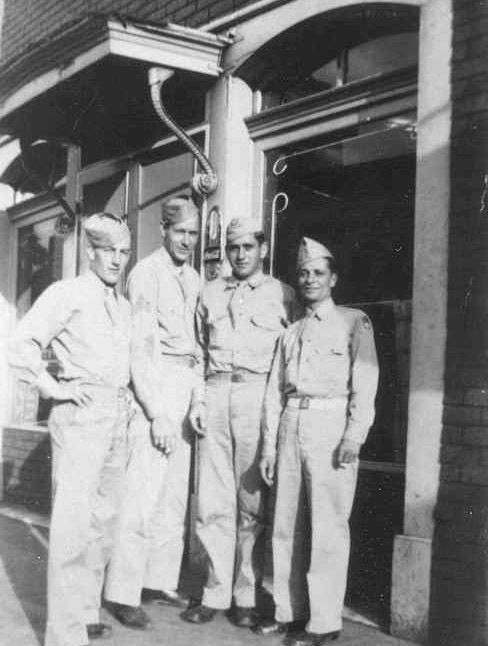 Photo from 1943 of Atterbury Army Air Field soldiers, left to right, Sgt. Luther McGee, Spruce Pine, North Carolina / Sgt. Robert Hammond, Springfield, Illinois / Cpl. Robert Fultz, Dutch Mill, Arkansas / Pvt. F. Grangie, Brooklyn, New York. 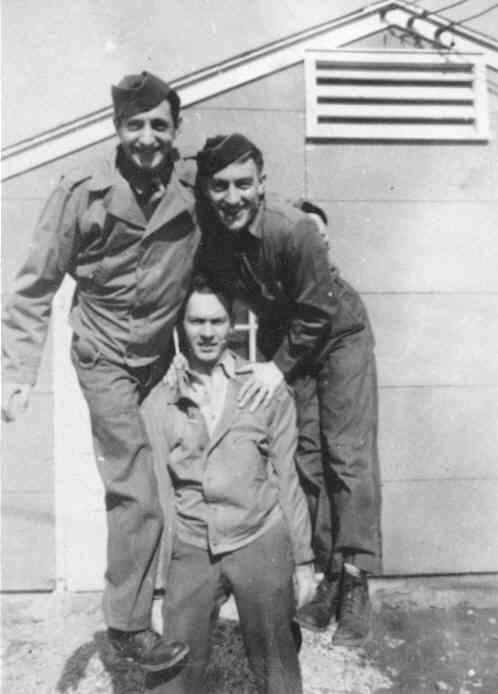 Hammond was stationed at Pearl Harbor and wounded December, 7, 1941 and was discharged December 1944. 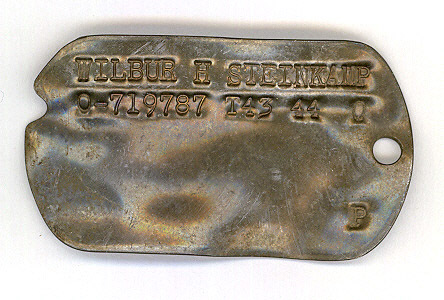 This dog tag lay at a WWII bomber crash site in Colorado for almost 50 years before being recovered and returned to his widow, Betty Steinkamp (Penisten) of Columbus, Indiana. Wilber was from Columbus and was flying with his B-24 crew when it crashed on September 14, 1944. All the crew perished in the crash. 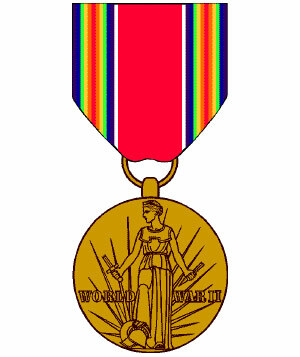 The dog tag was returned in 1992. The dog tag, along with other parts of the bomber, were recovered by members of the Colorado Aviation Historical Society. 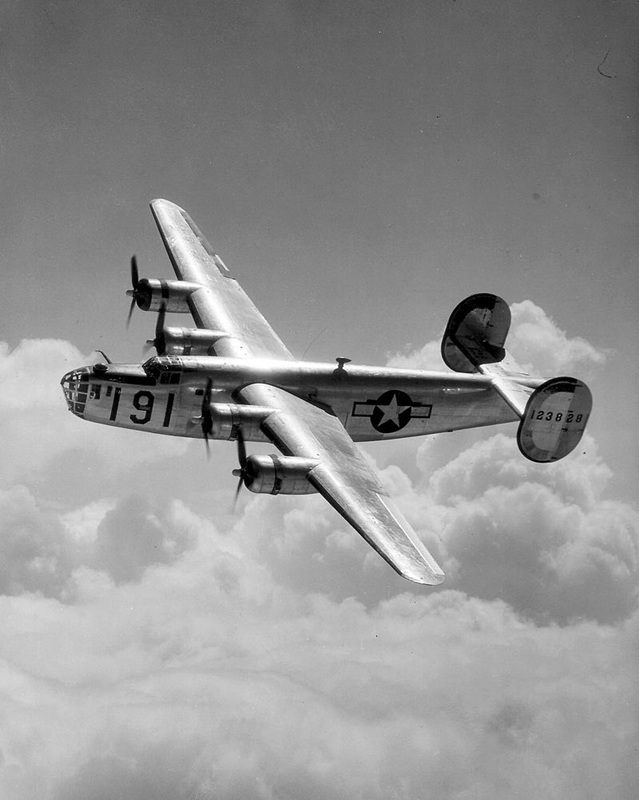 The B-24 and crew were stationed at Pueblo Army Air Base and crashed about five miles northeast of Peterson Field. The plane was on a routine combat training mission. 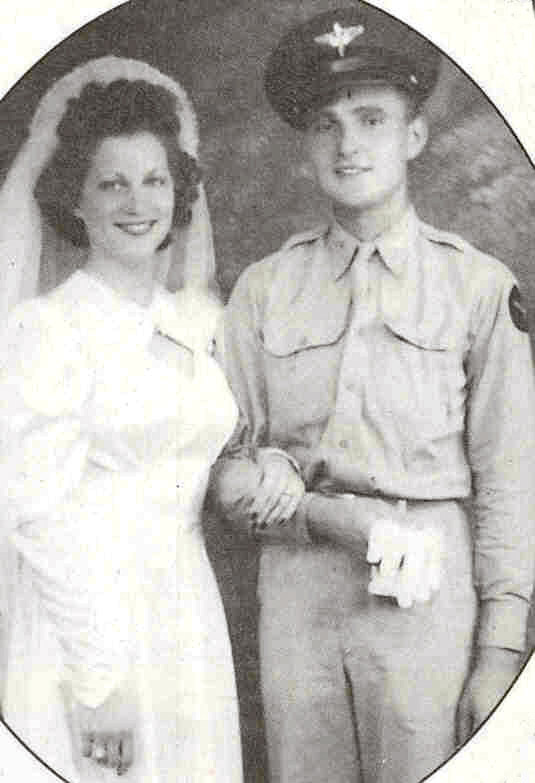 Wilber and Betty had been married six weeks earlier, on August 1, in San Antonio, Texas. The bodies and remains of the plane had been quickly recovered, and the crash site was cleaned of the larger pieces of the wreckage. Steinkamp's body was brought back to Columbus by his widow and he was buried at Garland Brook Cemetery. The photo of the B-24 is an Air Force photo, from Wikipedia. B-26 Bombers were at the Atterbury Army Air Field during 1943 and 1944. 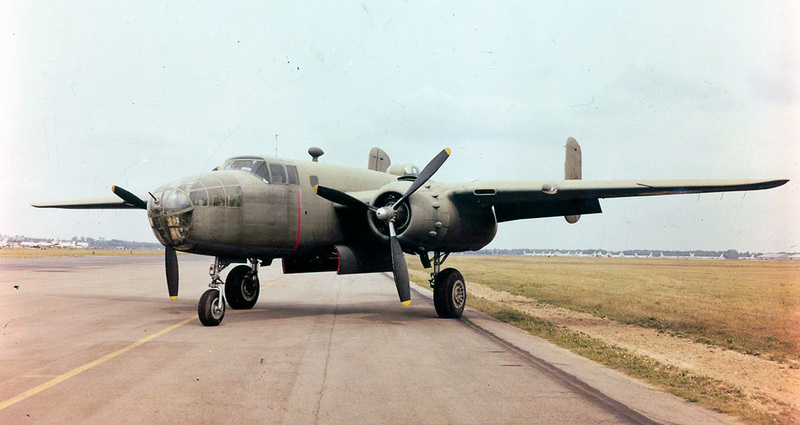 In September of 1943, the first B-26s arrived at the field. Span: 71 ft. 0 in. Length: 58 ft. 6 in. Height: 20 ft. 3 in. Engines: Two Pratt & Whitney R-2800's of 2,000 hp. ea. B-26 falls and burns near Nortonsburg. 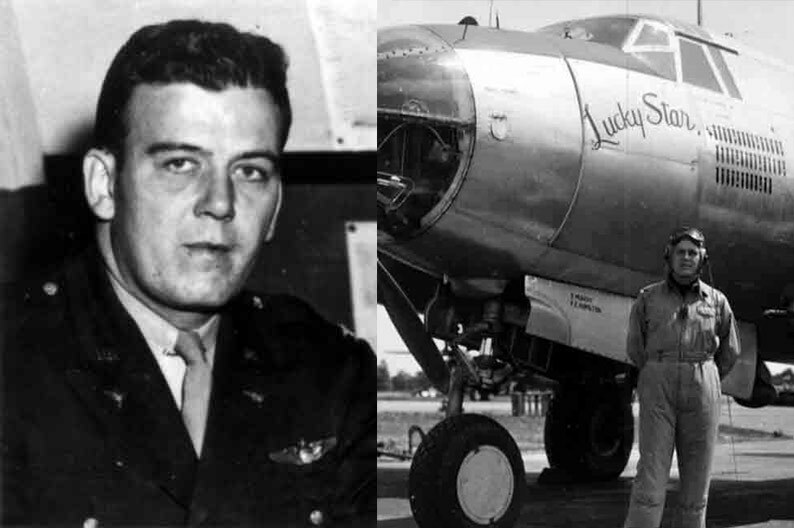 All six crew members miraculously escaped death Thursday afternoon when their B-26 bomber from Atterbury Army Air field made a crash landing four miles east of the field, plowed along the ground in flames for about 250 feet, spun around in a roadside ditch, and was destroyed by fire. Capt. Ward H. Porter, Intelligence officer with the bomber group at the local field, said none of the men was seriously hurt and that the plane was on a routine mission. Bombardment Group Units to Train Here Temporarily - Skies Are "Hot"
Units of a medium bombardment group have moved into Atterbury Army Air field, their B-26 Marauder bombers and air crews arriving at the field Thursday afternoon after a flight from their home base. The units are expected to remain here temporarily while engaging in routine training, the base public relations officer stated. The B-26 Marauders are the first combat planes to be based here in several weeks and are similar to the planes which arrived here with units of another medium bombardment group last September. 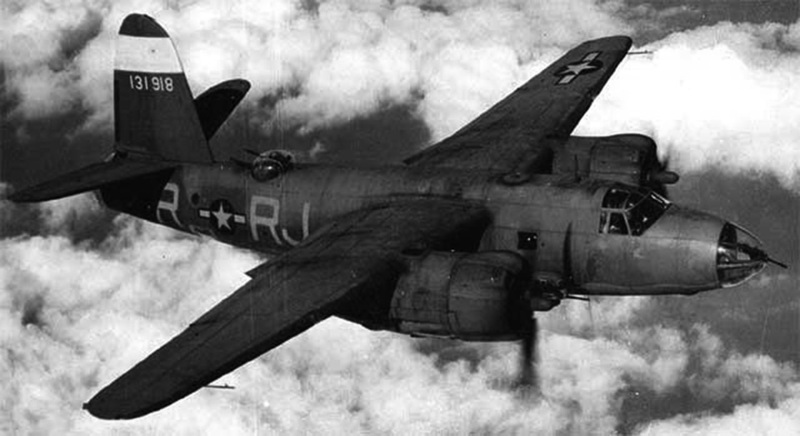 The B-26 is a twin-engine, medium bomber now in action on almost all of the war fronts. 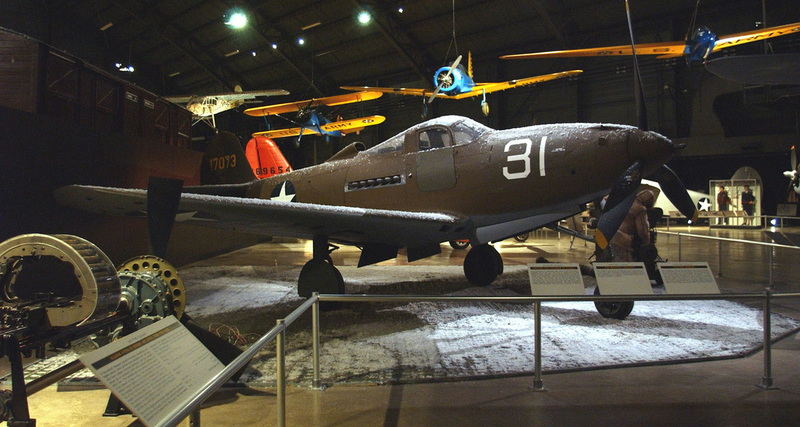 These based at the local field are olive drab and also may be distinguished from the AT-10 training planes from Freeman field, Seymour, by their long glass-encased nose. 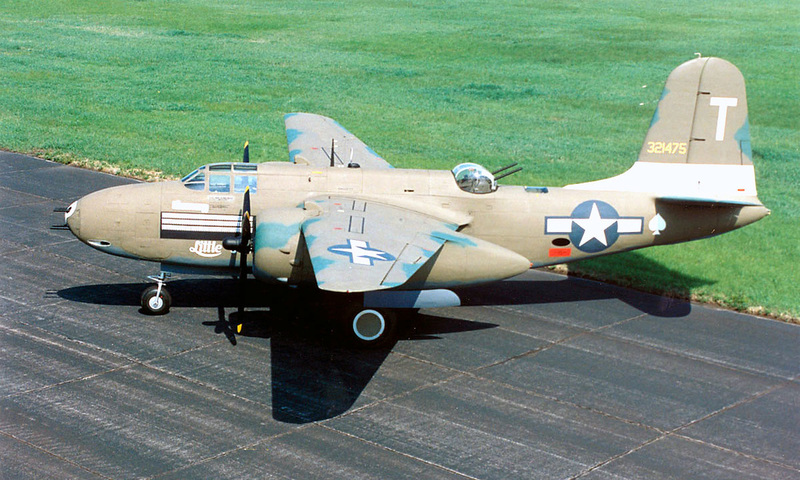 The B-26 is almost three times the size of the silver twin-engine training planes used by the Freeman cadets. 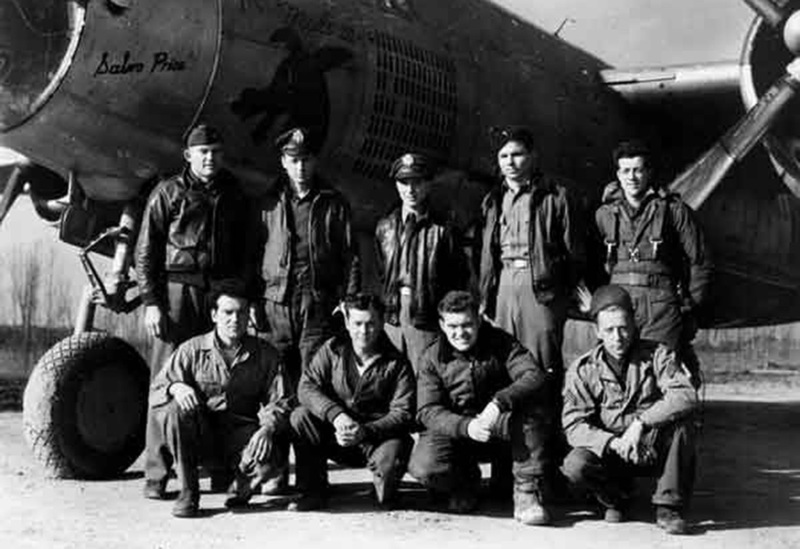 Former WWII B-26 pilot, George Parker, Founder and Past President of the B-26 Marauder Historical Society, said the 397th Bombardment Group (Medium) is the unit written about in the Evening Republican newspaper, now The Republic. This unit was at the Atterbury Army Air Field during WWII. January 7, 1944-Crew #2 local flight Martin B-26C / 2 hrs. 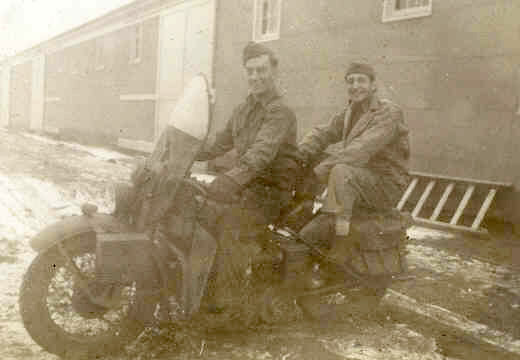 January 8, 1944 - Atterbury to Vichy, MO/ 2 hrs. Span: 44 ft. 0 in. Height: 10 ft. 4 in. Service Ceiling: Approximately 20,000 ft. Commander of the group is Col. Richard T. Coiner, Jr. who is expected to be here only part of the time. 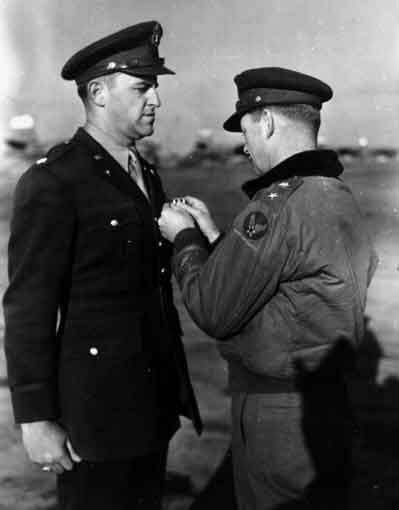 Executive officer for units at the local field is Maj. Franklyn E. Ebeling. 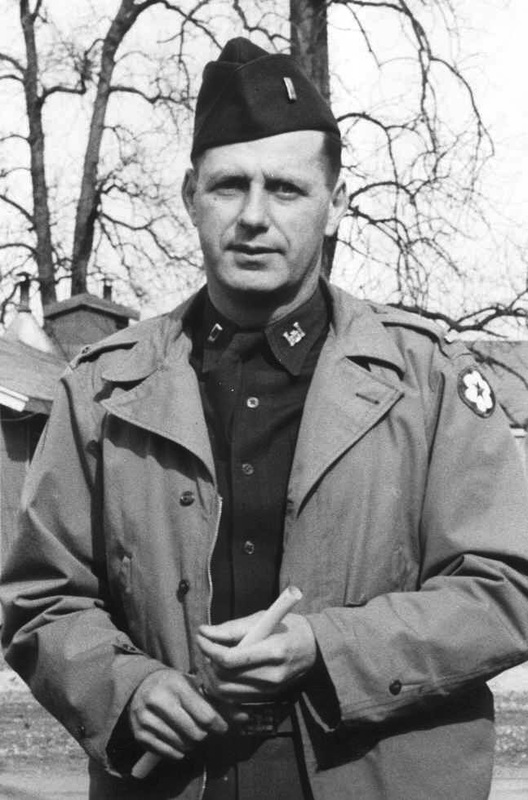 Other commanders are Maj. Robert M. McLeod and Maj. Kenneth C. Dempster. 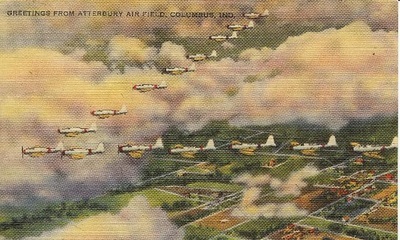 A constant stream of the AT-10 training planes from Freeman field roared over the city as the cadets landed and took off again from the Walesboro auxiliary flying field. Also in the air were the B-26s from Atterbury Army Air field as the boys put their larger mounts through night paces. First row - Michael Joseph Garvie, crew chief; Don W. Billings, radio; John T. Brewer, armorer; Charles E. Franzwick, assistant crew chief. 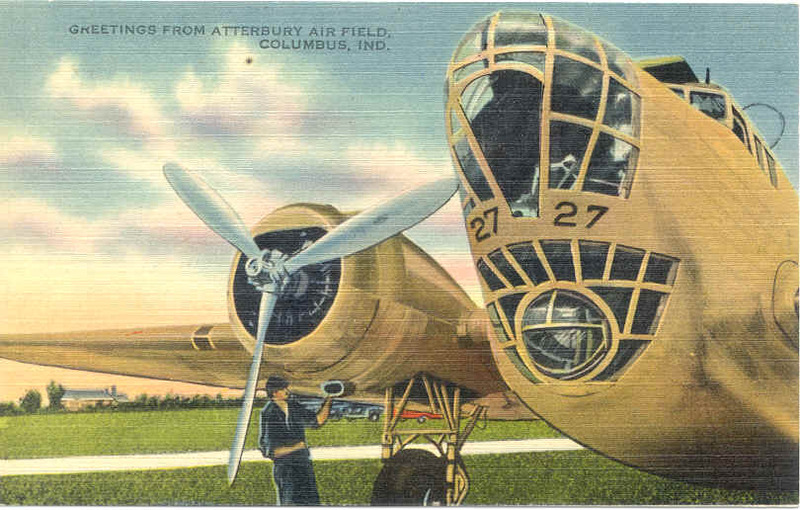 George W. Parker has been very helpful in furnishing information to the museum about the B-26 aircraft and crews who were at Atterbury Army Air Field. 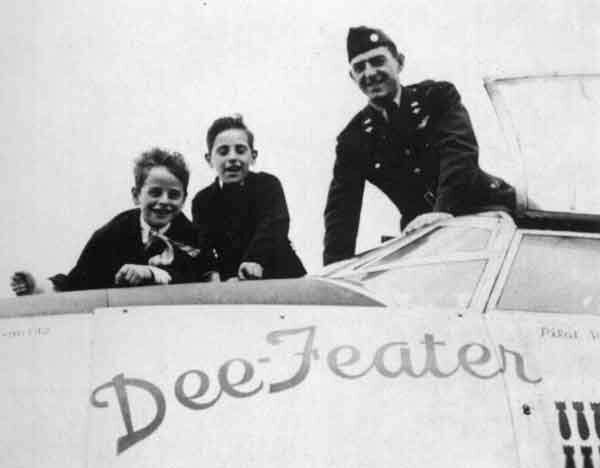 According to his records, they flew B-26C models to Atterbury and picked up new B-26B-55s at Hunter Field, which their group flew to England. Pictured in the photographs below are three of the officers mentioned in the newspaper story, all now deceased. 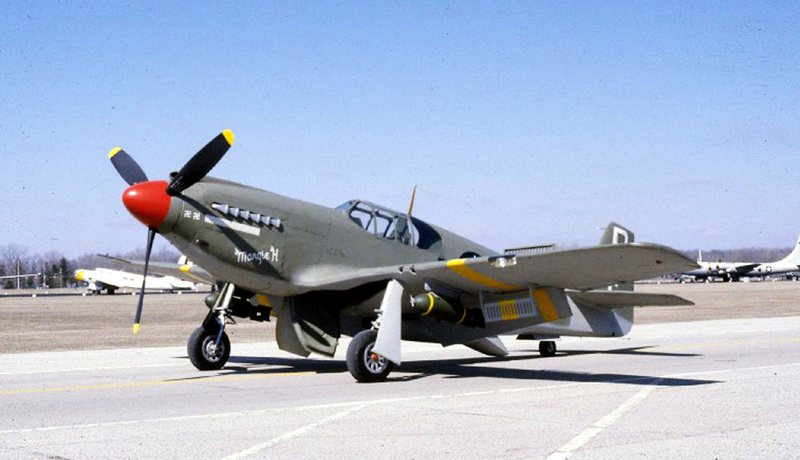 During July 1944, an aerial task force composed of Army Pursuit planes, attack bombers, and medium bombers arrived at Atterbury Army Airfield for a few days. A number of pursuit planes and four bombers were seen at one time over Columbus this morning, flying in formation. 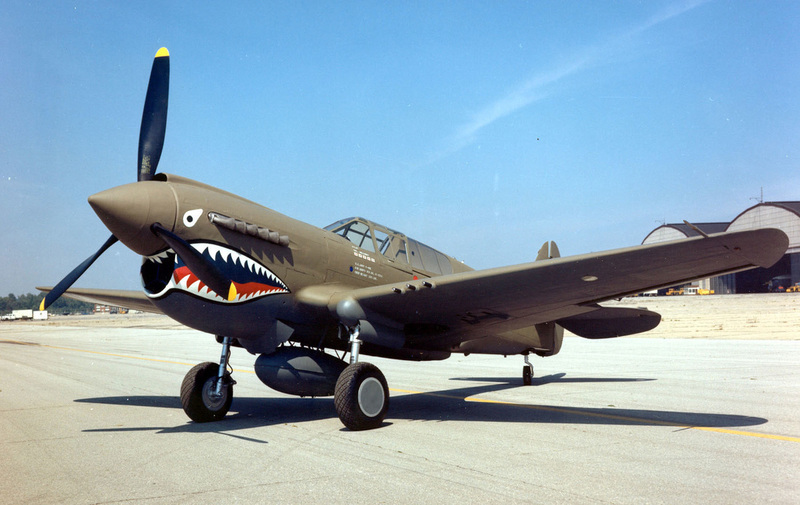 The announcement made at the field identified the planes as P-39 and P-40 pursuit ships, A-36 and A-20, scout and attack-bombers, and B-25 Billy Mitchell medium bombers. The planes are here from a Third Army Air force field and will be at the local base for only a short time while on a maneuver in this area. The pursuit and bombers are the first temporarily based at the local field for some time. The field here is now under the Air Transport command and is being used in training pilots of the First Troop Carrier command. These pilots fly the big C-47 troop and transport planes. Thanks to the "Greatest Generation"